How many times have you skipped an abs workout because you meant to do them at the end of your weight training session but you were just too tired to do any justice to them. If you have been in this situation many times, then I have the solution for you. A body-weight ab workout that you can perform in the comfort of your living room, preferably as soon as you wake up or once you get home from work. This workout will target all of your abdominal muscles in a quick and efficient manner. And best of all, you can perform it anytime, anywhere. 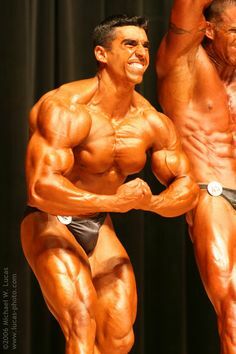 However, before I get to the routine, I want to cover a few highly important concepts that a lot of people don’t know about for getting to see your abs. 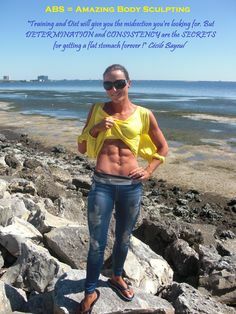 In order to see your abs, generally speaking, a woman’s percentage of body fat needs to be at approximately 12-13% while a guys’ body fat percentage must be in the 6-8% range. Therefore, visible abdominal muscles come as a result of low body fat levels. So then the next question becomes, how to lose body fat? 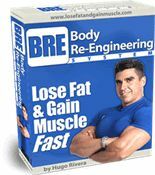 Note 2: If you are looking for a supplement that helps to control your appetite and increases your energy, you may want to consider trying the Lean Body Fat Burner from www.labrada-nutrition.com. 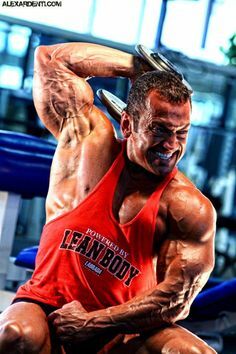 Depending on your experience level and goals, this may mean three full body sessions of dumbbell work at home (for beginner or somebody that just wants to be toned) or five to six training sessions a week like the ones here: natural bodybuilding guide. “Why weight training?”, some may ask. There are many reasons for this. First of all, why have great abdominal muscles and carry them with a less than shapely and toned frame? It’s like having really expensive and beautiful art works in the living room framed with a torn and old frame. Regardless of what infomercials claim, the only way to tone and shape your body is through weight training. No aerobic machine is capable of doing that no matter how many muscles it involves. 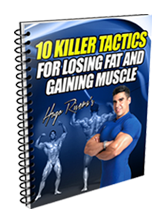 Also, by allowing you to get extra muscle mass, weight training permanently increases your metabolism. Don’t worry ladies, you will not get like Arnold Schwarzenegger by accident. Women do not have the testosterone levels necessary to be able to attain the degree of muscle mass that men can achieve. Cardiovascular exercise performed on an empty stomach first thing in the morning or right after the workout can help you to burn extra calories. This in turn will help you to burn more fat. Your pulse (heart beats per min) should be between: (220-age) x.75 and (220-age) x.85. This one goes without saying and that is what this article is all about. Now that we know what the rules to getting nice abs are, let’s see how you can work yours from the comfort of your home. Lie flat with your back on the floor and your legs in front of you bent at the knees and place your hands crossed in front of your chest. Start by raising your shoulders and torso as far as possible from the ground in a curling movement without raising your back from the floor as you exhale. Retaining tension on the abs, bring your torso to the starting position as you inhale. Maintain full control throughout the movement and avoid the temptation to rock back and forth. Tip: You can perform this movement with a rolled up towel under your spine curvature in order to achieve full stretch of the abdominal wall and thus get full range of motion. Lie flat on the floor with your lower back pressed to the ground. For this exercise, you will need to put your hands beside your head. Be careful however to not strain with the neck as you perform it. Now lift your shoulders into the crunch position and bring your knees up to where they are perpendicular to the floor, with your lower legs parallel to the floor. This will be your starting position. Now simultaneously, slowly go through a cycle pedal motion kicking forward with the right leg and bringing in the knee of the left leg. Bring your right elbow close to your left knee by crunching to the side, as you breathe out. Then go back to the initial position as you breathe in, and start to crunch to the opposite side as you cycle your legs and bring closer your left elbow to your right knee and exhale. Continue alternating in this manner until all of the recommended repetitions for each side have been completed. Tip: Avoid fast and sloppy motions; instead concentrate on slow and perfect execution. Lie flat with your back on the floor and your legs extended straight in front of you. Place your hands at your sides by the floor for support. Flexing your lower abdominals, raise your legs and exhale until they are perpendicular to the floor. Retaining tension on the abs, lower your legs to the beginning position stopping just an inch off the floor as you inhale. Tip: Avoid the temptation to let your legs drop on the negative portion of the movement. Sit on the floor (or on the edge of a chair) with your legs extended in front of you and your hands holding on to the sides for support. Simultaneously bring your legs up as far as possible while at the same time bringing your torso towards them as you inhale. Exhale as you return to the start position and repeat the movement until you have completed your set. Tip: Avoid the temptation to let your legs drop on the negative portion of the movement and maintain full control of the motion. Sit on the floor (or on the edge of a chair) with your legs extended in front of you and your hands holding on to the sides for support. Keeping your knees together, pull your knees in towards your chest as you exhale until you can go no further. Keeping the tension on your lower ab muscles, return to the start position as you inhale and repeat the movement until you have completed your set. Tip: Avoid fast motions; maintain full control of the movement. GOAL: BOOST METABOLISM AND SHAPE ABDOMINAL MUSCLES. FOCUS: BODY-WEIGHT BASED ABDOMINAL EXERCISE CIRCUIT.TIME: 3 TIMES A WEEK ON NON-CONSECUTIVE DAYS PREFERABLY FIRST THING IN THE MORNING FOR 6 WEEKS. THE ROUTINE SHOULD BE PERFORMED IN CIRCUIT FASHION. FOR THE FIRST TWO WEEKS REST 30 SECONDS BETWEEN EXERCISES AND 2 MINUTES BEFORE STARTING THE CIRCUIT AGAIN. WEEKS 3-4 DO NOT REST IN BETWEEN EXERCISES AND ONLY REST 60 SECONDS AT THE END OF THE CIRCUIT. WEEKS 5-6 ATTEMPT TO DO ALL 3 SETS OF THE CIRCUIT WITH NO REST AT ALL. Now that you know the secrets to getting a nice set of abs all you need is the determination to stick to the plan consistently. By the time summer comes around, you won’t have any issues with looking for a bathing suit and displaying your new physique at the beach! Best of luck, take care and train hard! A fine combination of power full set’s. I surely helps to get the dream shape. Will do Sandeep 🙂 Thanks for the feedback!